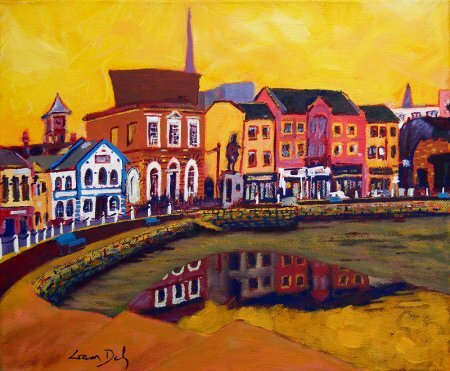 The first of the paintings on the recent 12-week painting cycle tour of Ireland that I didn’t quite manage to finish on location. So it was finished in the studio after being carried around the rest of the country. I like Wexford town a lot. Crescent Quay I’ve painted before -but this time was the first that I painted it (mostly) on site, and is by far my favourite. Crescent Quay, Wexford is painted on canvas - including its sides which are 1.5cm wide.